Antiques, Repurposed, Vintage, Shabby Chic, Handmade, Furniture, Collectables, Jewelry, Home Decor, Salvage, Art & Much More! 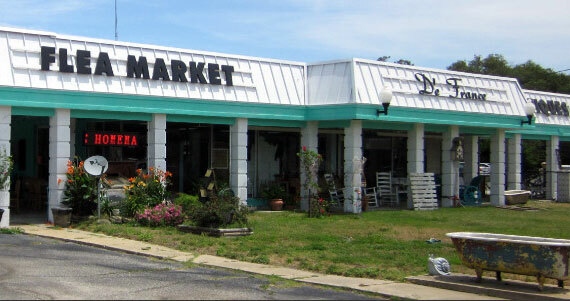 We are one of the largest indoor flea markets and antique stores on the Florida Panhandle. Located just off Miracle Strip Parkway, our 13,000 square foot area provides the best antique shopping of any Destin or Fort Walton Beach flea market. Visit our antique mall and meet our friendly, courteous staff. We will help you find the perfect solution to your decorating, collecting, or gift-giving needs. Whether you are looking for a piece of historic, fine furniture, or searching out shabby chic treasures, we are eager to assist you. Professional interior decorators will marvel at our huge selection, while do-it-yourselfers will delight in finding exactly the right item for their project. From glassware to reclaimed wood furniture, pianos to vintage handbags, we have it all!